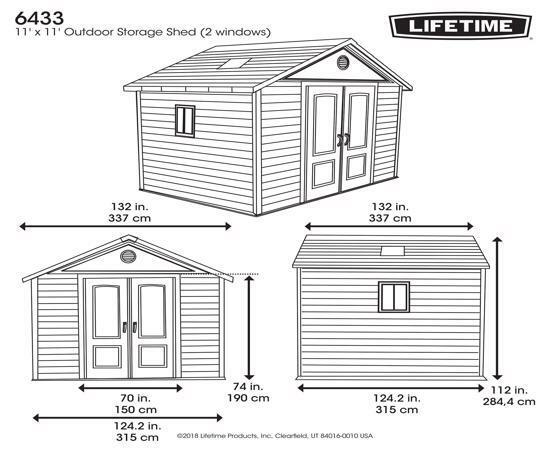 The Lifetime 11 ft. x 11 ft. 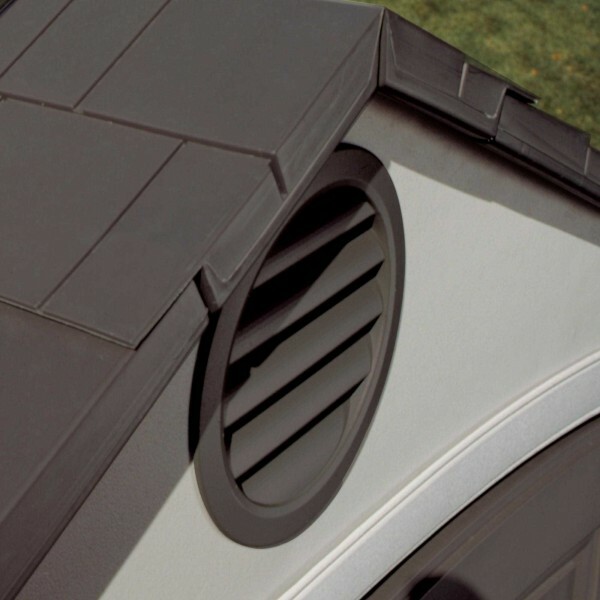 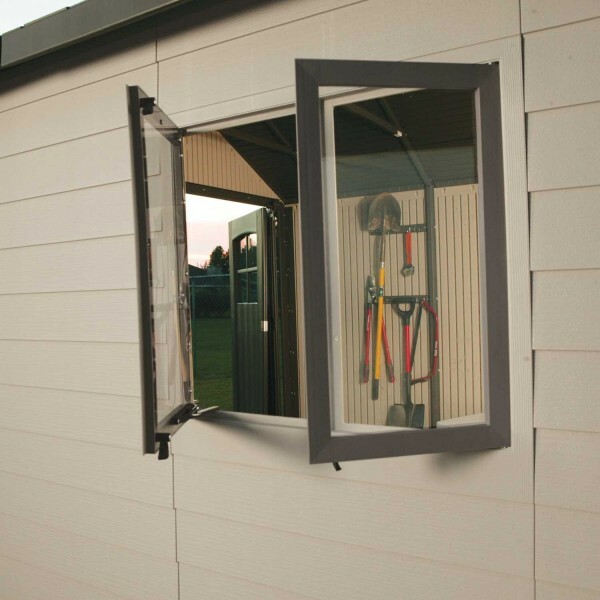 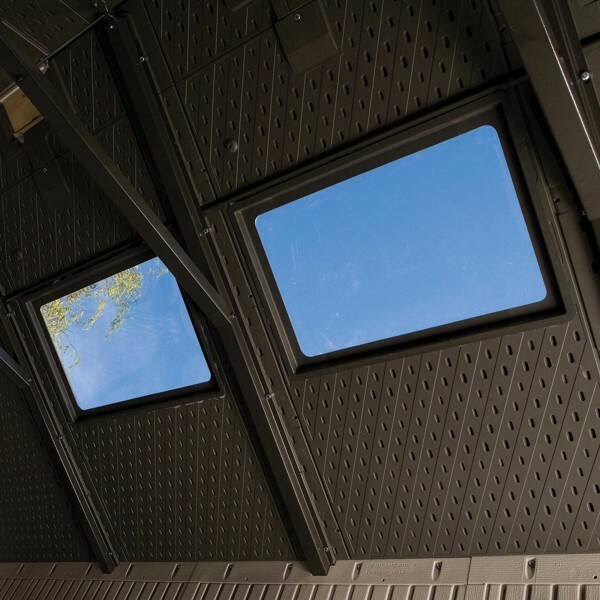 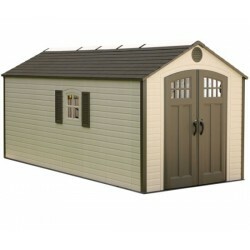 Shed features: (2) large skylights, (2) shatter-proof polycarbonate windows, (2) screened vents, (2) 30 in. 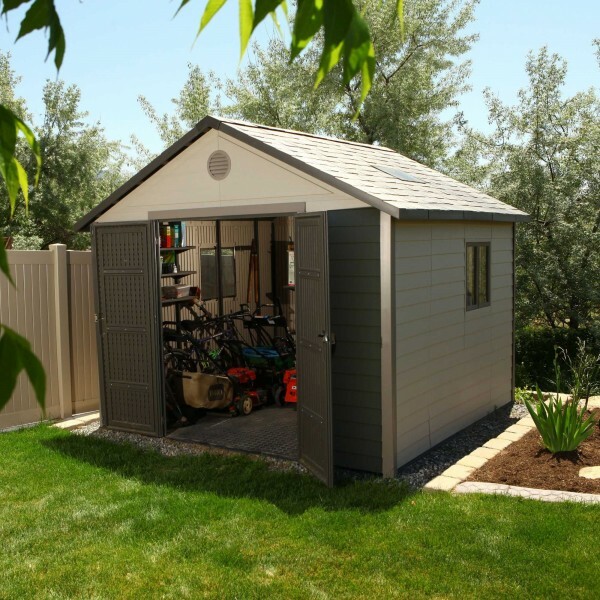 x 14 in. 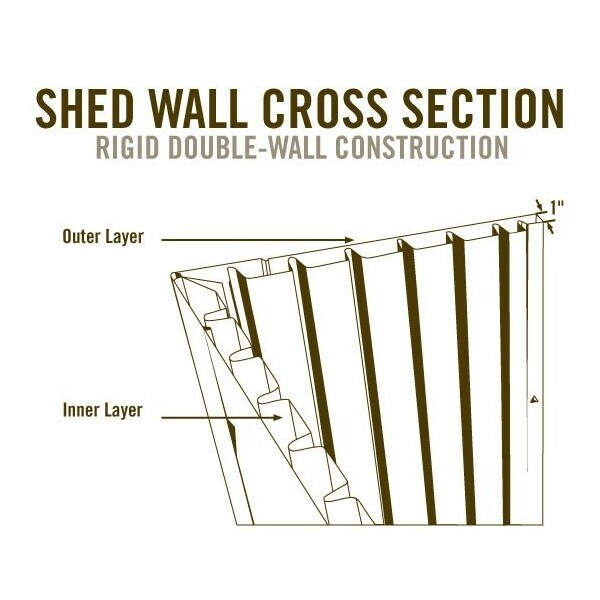 shelves, (5) 30 in. 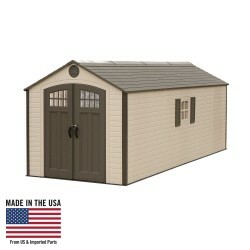 x 10 in. 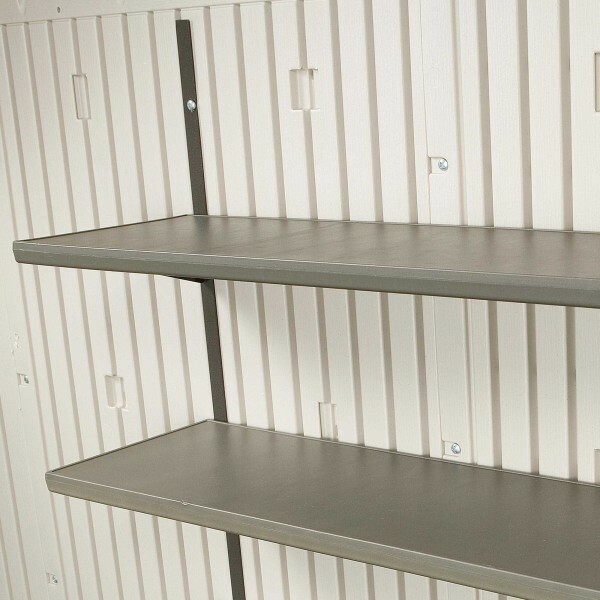 shelves, (2) peg strips, and a 10-year limited warranty. 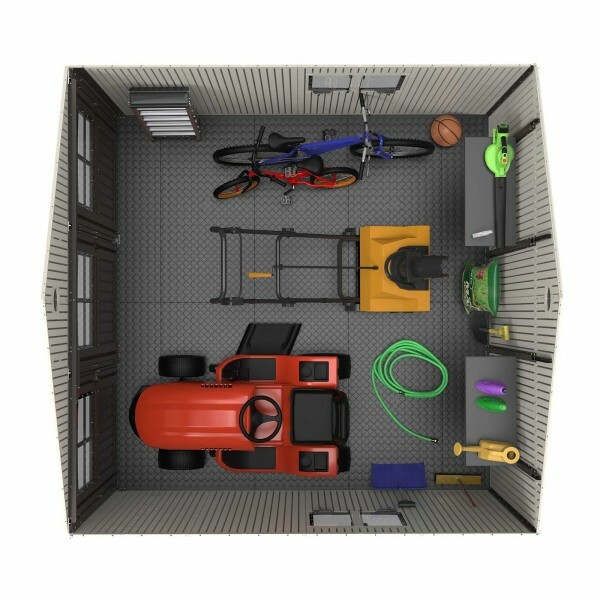 Floor and installation hardware included. 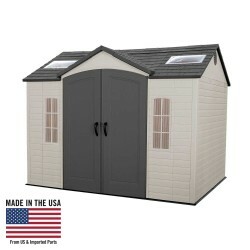 Comes in (4) boxes. 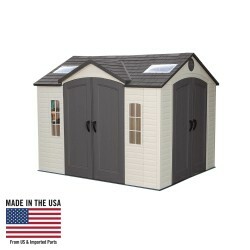 Lifetime's 11-foot wide Sheds provide the perfect space for a tool shop, outdoor gear and ATVs, or even a place to park your car. 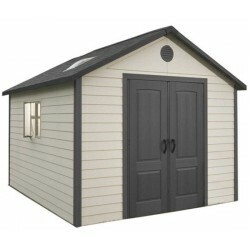 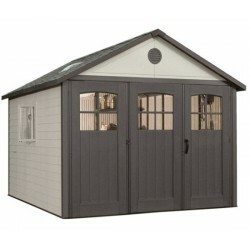 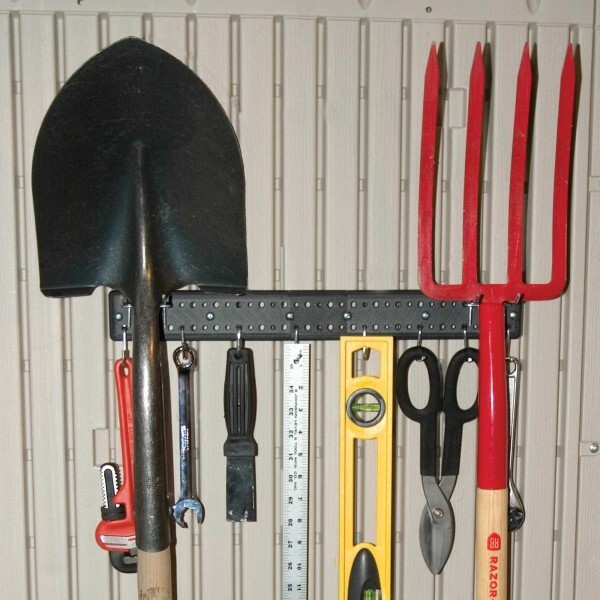 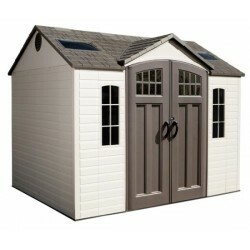 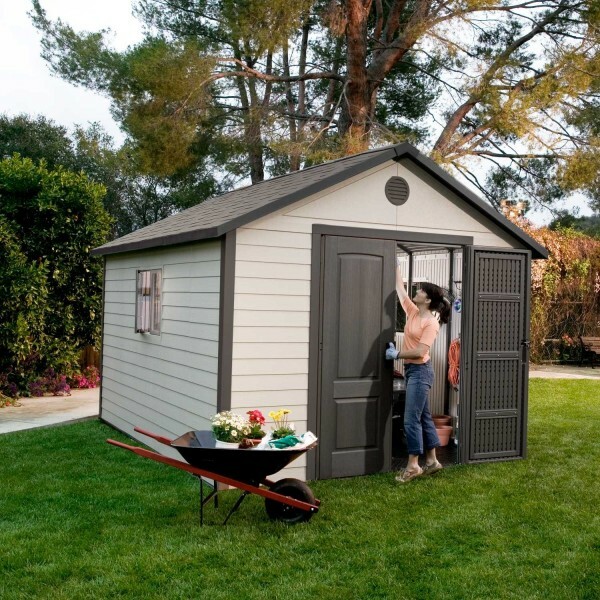 The spacious 100.4 square ft. (786.6 cubic ft.) interior is if perfect for storing your garden tools and other things. 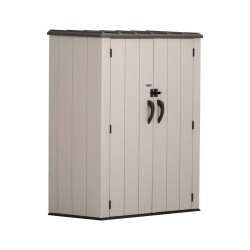 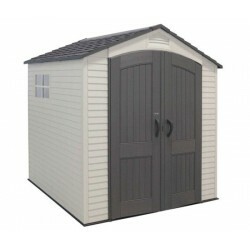 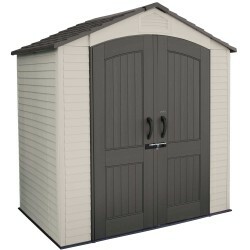 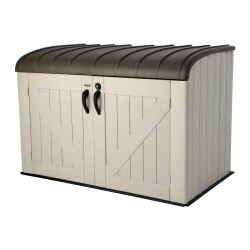 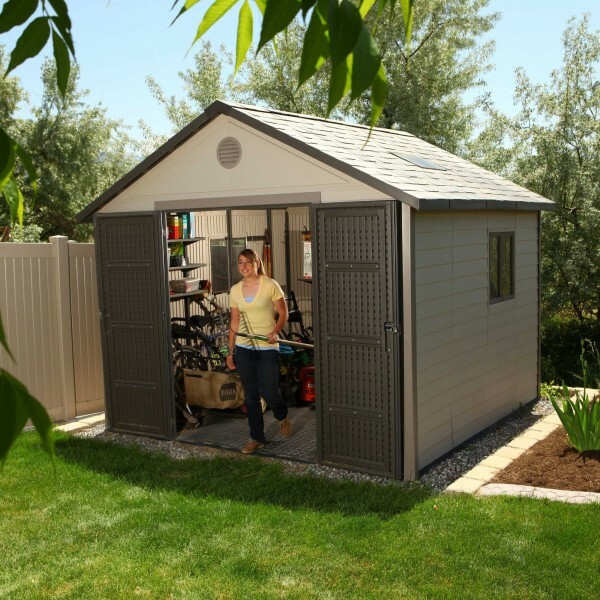 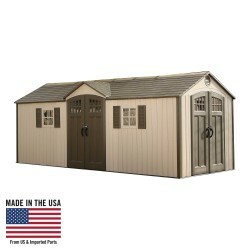 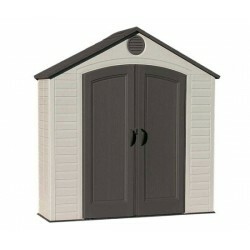 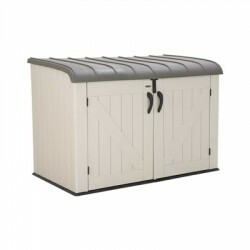 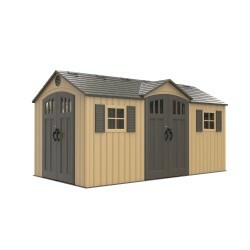 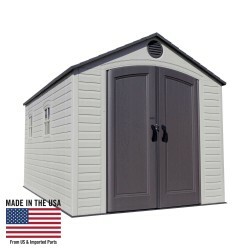 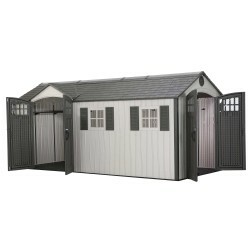 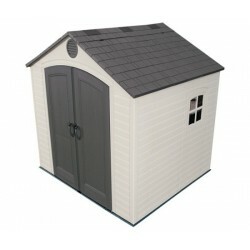 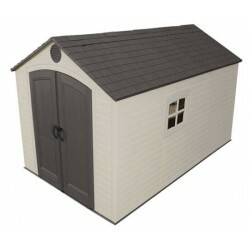 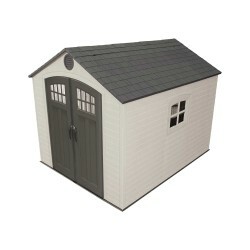 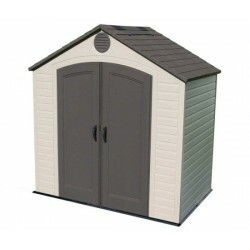 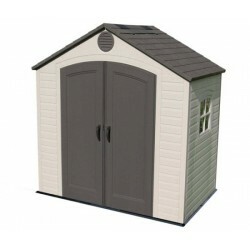 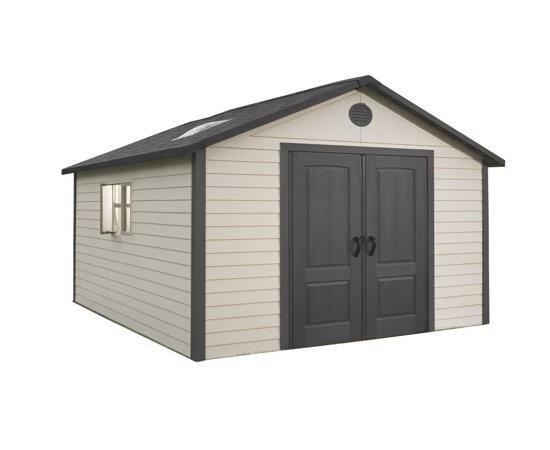 The heavy-duty steel-reinforced construction, and low-maintenance design gives you a durable garage or workshop, and is the perfect solution to your storage needs.